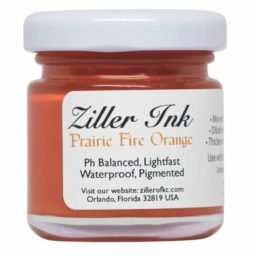 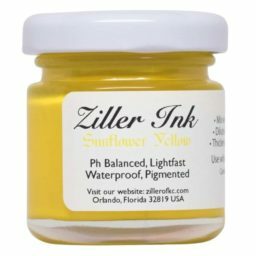 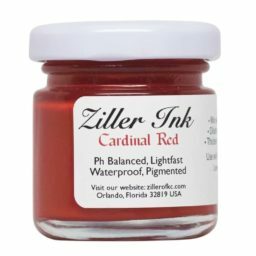 Ziller Ink is made from superfine organic pigments which with the pH balancing and acrylic co-polymer formulas makes a medium that is waterproof and lightfast. 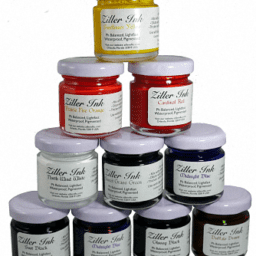 Intermixing the colours enable a whole spectrum of new colours to be discovered. 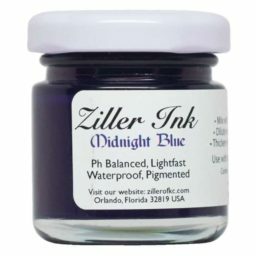 Easy cleaning with a few drops of ammonia in the rinse water. 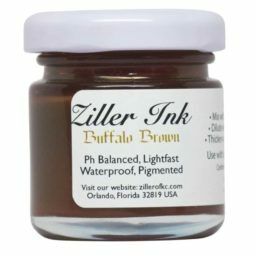 Fully intermixable to create a whole spectrum of colour. 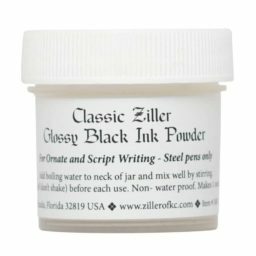 Northwind White – a durable opaque white – so dense it writes on black card! 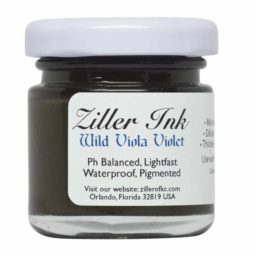 VIOLET – the rich Wild Viola Violet is beautiful from large nibs but may need to be lightened with North Wind White for smaller or pointed nibs. 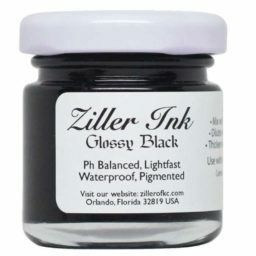 Ooops, my ink dried out!!! 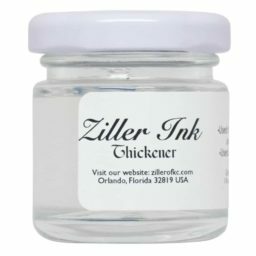 If your bottle of Ziller Ink looks like a dried up river bed:- Break the dried up ink into small pieces and place back in the jar. 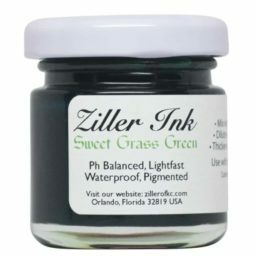 Add a very small amount of distilled water and stir. 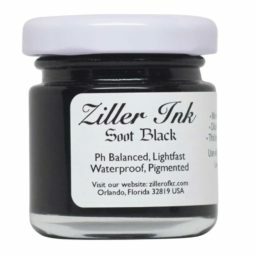 The ink will dissolve and reconstitute and you can use it just like before. 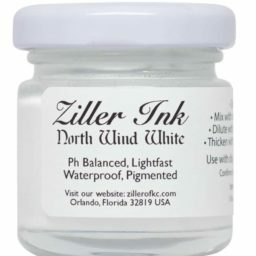 Dilute as required.